San Marino Rotary Charities (Charities) was incorporated on December 27, 1994, under the name San Marino Rotary Foundation. 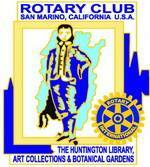 On August 9, 1996, the name was changed to San Marino Rotary Charities. The purpose of forming Charities, a California Nonprofit Public Benefit Corporation, was to facilitate the tax deductibility of contributions made by members of the Rotary Club of San Marino (the Club) and others for charitable, scientific, literary and educational purposes, including, without limitation, contributions to civic and charitable organizations and grants for educational and civic improvement purposes. There are no geographical limitations on where funds may be used. Charities supports the Club’s activities by functioning as though it were a Club Committee charged with managing and implementing the Club’s charitable activities, subject to the Charities Board retaining and discharging its legal and fiduciary responsibilities.